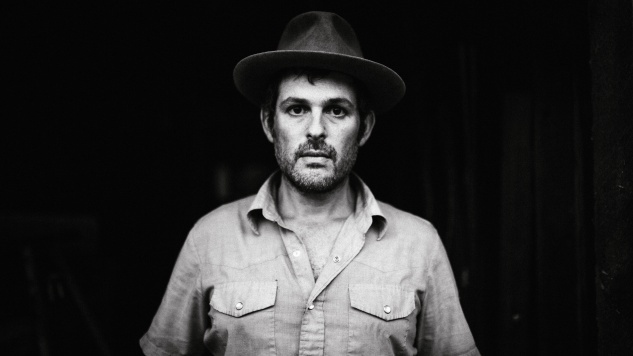 Gregory Alan Isakov is returning this fall with his first studio album in five years. Evening Machines, due out Oct. 5, follows 2016’s Gregory Alan Isakov with the Colorado Symphony, which featured reimaginings of songs from Isakov’s discography with the addition of the Colorado Symphony. Out today, Aug. 15, is “Caves,” joining “Chemicals” as the second single off Evening Machines. Isakov wrote “Caves” with his friend Ron Scott, who went on meandering walks through the hills of Colorado with Isakov when he visited from Austin—his name is also included with the lyrics of the only new song on Gregory Alan Isakov with the Colorado Symphony, “Liars”. [Scott] and I spend a lot of time being quiet. He’s one of those friends that reveres silence as much as I do. It isn’t strange to not say anything while we are hanging out. We share a similar world where we write from. Some songs are about a story, a conversation. This one is more about the places that a song can bring you. And that love for silence. The recurring lyric in “Caves,” “Let’s put all these words away,” embraces this sentiment—not just accepting silence, but sinking into it. You can “hear the stars do their talking” and hearts break in silence. Evening Machines was recorded at Isakov’s converted barn studio on his farm outside of Boulder, Colo., and, get this: He does farm. The record was recorded mostly at night so as to avoid conflicting with his work in his gardens. As the album title suggests, the record holds within itself the feeling of dusk settling. “It doesn’t matter if it’s summer or winter, morning or afternoon, this music always feels like evening to me,” Isakov said. You can preorder Evening Machines here. Listen to “Caves” below and check out a performance by Isakov from the Daytrotter Studio in 2013 beneath that. Find Evening Machines’s tracklist further down.